The thunderous rumble of hooves on the sod, the ecstatic cheers and screams of the crowd, the smiles of racing lovers as their top pick ascends the podium; horse racing is a wonderful pastime and one that has become all the more popular in recent years as people rekindle their love for kicking back and enjoying themselves during a day at the races. One of the top events in the horse racing calendar is The Cheltenham Festival, a meeting only surpassed in scale and cache by Royal Ascot, set to take place between the 10th and 13th of March 2015. The festival itself has firmly become one of the top events in the UK’s, if not the world’s, racing calendars. Traditionally known as the National Hunt Meeting, the event is racing’s most ancient events with a history running back to 1860, when the National Hunt Chase first was held. Along with Ascot and the Newmarket Guineas Festival, Cheltenham 2015 looks set to host thousands of fans when it takes place, and has become one of the top racing events for a number of reasons. Firstly, the sheer amount of entertainment on offer is second to none. The 10th of March, Champion Day, has a huge number of races on offer for fans including the ever-popular Stan James Champion Hurdle Race. On the 11th the festival is home to Ladies’ Day, but there’s more than just enormous hats on offer that day as the Betway Queen Mother Champion Chase, one of the most anticipated of the season, will be set to enthral the audience. The Thursday of the Festival luckily coincides with St. Patrick’s day- not many guesses are needed to know what’ll be happening this day- and is set to feature a huge amount of entertainment beyond the exciting races. Cheltenham 2015 culminates on Friday the 13th with the Gold Cup Day, the most racing-focused day in the calendar. Fans frequenting the stands on any of these fun-packed days should take a look at the horse racing news provided by Coral; all of the news and developments regarding horses, jockeys and teams will be being posted in the run up to the races, an excellent trove of information! Thanks to a massively eclectic mix of races, events and entertainments, Cheltenham has firmly affixed itself as the best date in the UK racing scene. 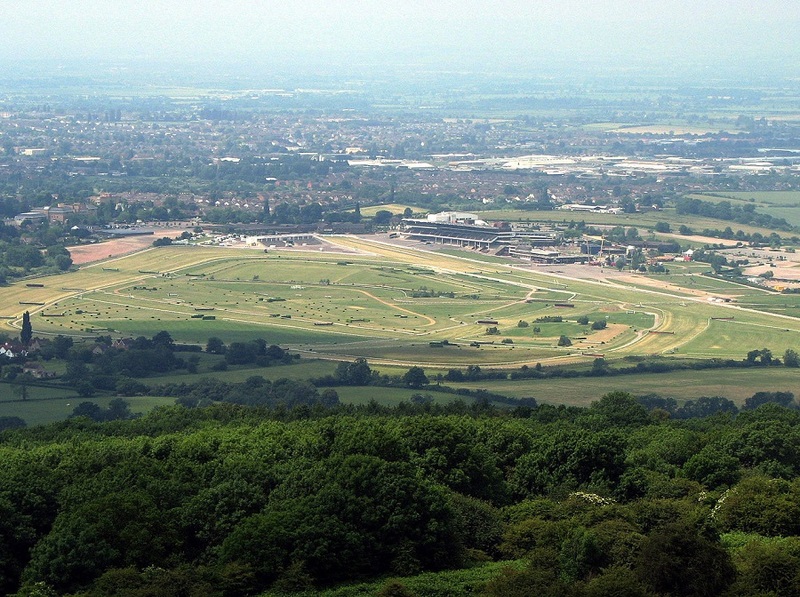 This, along with the racecourse’s beautiful and scenic location; the racecourse is located in Prestbury Park, a natural amphitheatre (see image above) that allows fans a perfect view of the races and grounds; have made this 67,500 spectator event one that nobody should miss out on! Get your tickets now!